The last two weeks of IgniteLA, our students have been having discussions on intersectionality, the importance of knowing one’s audience, and public speaking. We have also provided a candidate toolkit to those interested in running for Board Seats in the 2019 Neighborhood Council Elections. The students also had the opportunity to get an in-depth training on the Council File Management System, as they will be incorporating current Council Files and Ordinances into their Policy Project Proposals. Our fifth session on Monday 10/29 is when the cohorts will be presenting their findings to our partners in Council District Offices as well as the Mayor’s Office. Stay tuned, as you might see these young women come to your Neighborhood Council to ask your board to file a CIS! 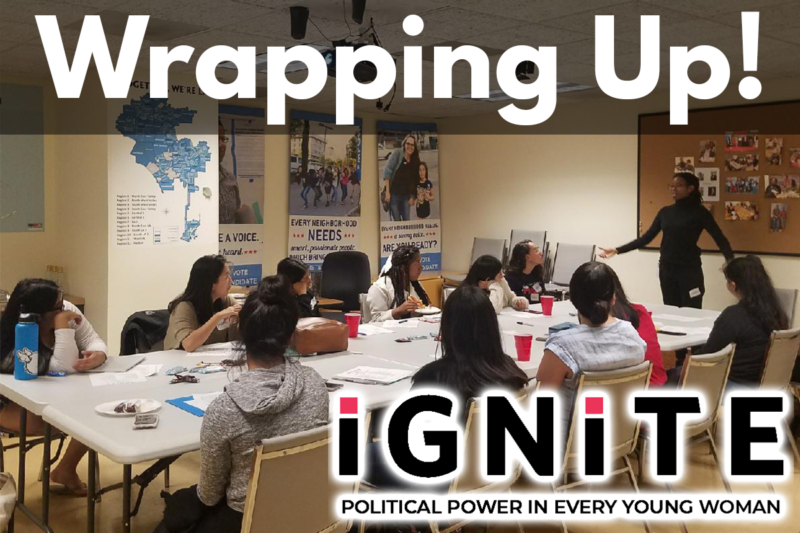 IgniteLA is a non-partisan program whose mission is to empower every young woman interested in public service with the political and practical skills she needs to be a successful civic leader. Held by EmpowerLA twice a year, please check out our website at www.empowerla.org/ignitela for more information.